'Korea could lose nuclear plant market to China, Russia and India'. January. 26, 2019 07:36. kyungeun@donga.com. “Global electricity demand in 2050 will be 2.7 times the current level. For Korea, which has seen per-capacity power consumption grow at the fastest pace in the world, to escape from nuclear energy is not a ‘viable alternative.’ Korea will end up paying hefty price due to electricity supply shortages that the country can hardly afford to pay,” said Dr. Chang Yoon-il at a KAIST special seminar on "The Current Situation and Outlook of Global Nuclear Energy” on Friday. Dr. Chang also stressed that escape from nuclear energy is not in line with the international trend, saying that more than 100 nuclear power plants will be constructed in 34 countries over the next 10 years. “Some 20 countries that don’t possess nuclear power plants including Saudi Arabia and Vietnam are also considering construction of nuclear power plants, and the world will thus embrace Nuclear Renaissance soon,” he said. "Nuclear energy is the most economical among various energy sources currently available, and is the only source of energy that does not produce air pollutants or greenhouse gas." 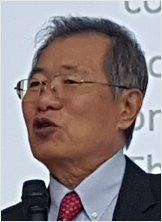 “Korea will lose the market to China, Russia and India, which are aggressively engaged in a nuclear energy sales campaign at the national level,” Dr. Chang said.